Before the much-anticipated Avengers: Endgame hits theatres worldwide, Avengers fans had an opportunity to join an exclusive livestream event in India, to ask Robert Downey Jr. (who plays Tony Stark aka Iron Man) questions about Marvel's most popular franchise. As media interacted with Robert, he revealed lesser known facts about the upcoming film. Talking about his favourite costume as Iron Man, Robert revealed that fans were yet to get a glimpse of it. However, the actor stated he always had a soft corner for Mark 1 and Mark 42. 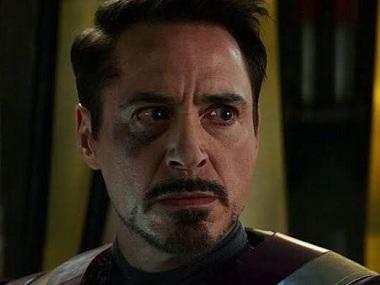 Iron Man and Pepper Pott's narrative in Avengers: Infinity War was left at a juncture where the two were deciding to settle down, before Thanos' Snap destroyed half of the Avengers. Robert revealed that if the couple (hypothetically) had children (triplets in particular), they would be named Marks I, II and III. Downey Jr also said that he had no recollection of the Avengers: Endgame wrap party, which had to mean it was a success. Infinity War and Endgame were shot back to back and hence it was the longest period of time that all actors spent with each other. "Endgame really represents the culmination of probably the time in our lives that we have been the closest," the actor added. Avengers: Endgame releases in theatres on 26 April.